Searching for that perfect afternoon or evening of fresh air, light exercise, and adult beverages in beautiful St. Pete? 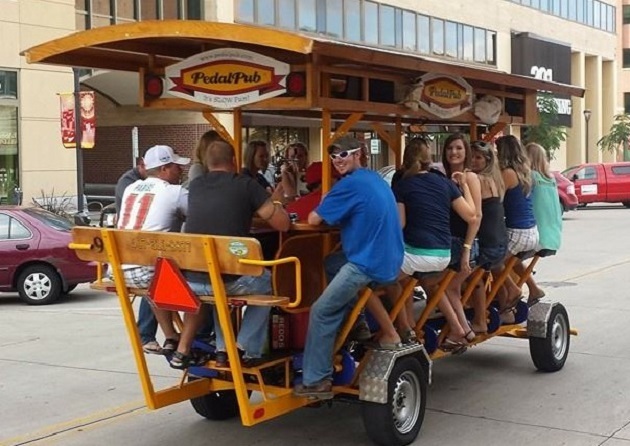 Then you NEED to check out PedalPub, St. Pete's own pedal-powered bar on wheels! Enjoy a two-hour bicycle tour through some of the most gorgeous areas of St. Pete, Grand Central and the Edge District. This is the perfect opportunity to grab some photos of some of the world's best streetside mural art. The Grand District tour features ample Insta and Snap opportunities, as well as stops at great dive bars like the Old Key West Bar & Grill, awesome craft breweries like Cage Brewing, Urban Comfort, and 3 Daughters, and unique drinkeries like the Queens Head and the Garage. Your friendly pilot & guide also accepts special stop requests, as long as it's not too far to pedal! 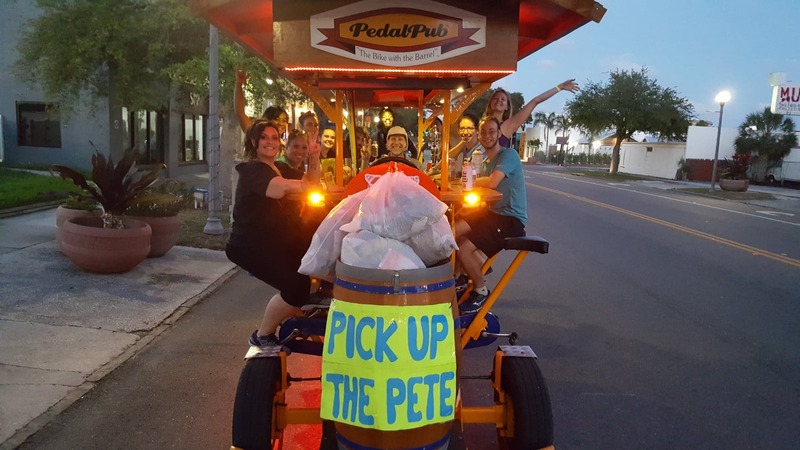 PedalPub's Edge District tour is also loaded with biking fun, wicked good street art, and stops at some of St. Pete's most iconic watering holes. Don't miss the historic Emerald Bar (open since 1950), the hip & lively Independent Bar, or the chance to play some SkiBall at Park & Rec. The Edge tour also includes renowned local craft breweries such as Cycle Brewing (of course!) and the Green Bench Brewing Company. Both the Edge and the Grand District tours stop near some of St. Pete's best eclectic and tasty coffee shops and cafes, if you're craving some caffeine energy for biking, or maybe just need some pie to soak up all that delicious craft beer. RELATED CONTENT: PedalPub's Nano Brewery Tour Shows You the Sights and Sounds of St Pete! Gather your group today for an affordable and enjoyable biking, drinking, and art appreciation adventure tour through some of St. Pete's most wonderful neighborhoods. 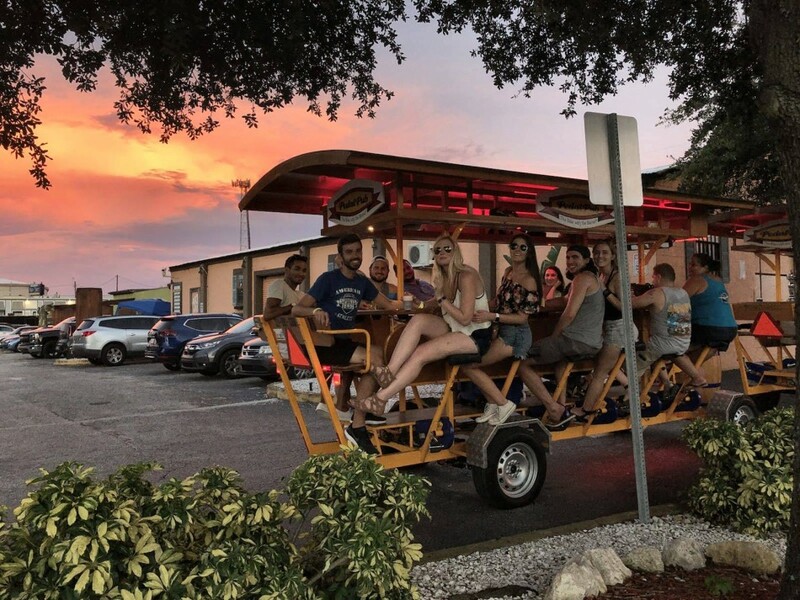 Visit PedalPub St. Pete to book your reservation today! Searching for more fun and active ways to meet new friends and see the sights? Register for free on 727area and never miss any of the fun things to do in St Pete!